Maritzburg United are up against Bloemfontein Celtic this weekend, the Free State side fresh from a 5-0 thrashing of Mamelodi Sundowns. The Absa Premiership game takes place at the Kaizer Sebothelo Stadium on Sunday, 19 April 2015, with kick-off set for 15h00. Celtic are fifth on the Absa Premiership log with 37 points from 25 matches. 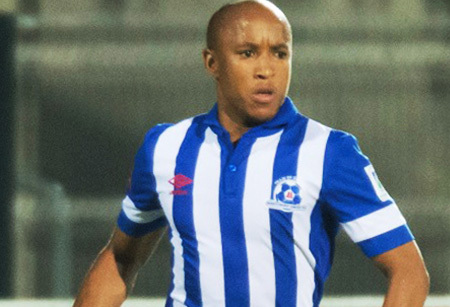 Maritzburg suffered a second successive 1-0 loss when they went down 1-0 away to Black Aces in midweek. The KwaZulu-Natal team has claimed 13 points from 12 away matches this season. The Team of Choice is placed ninth on the Absa Premiership log with 30 points from 25 matches. In head-to-head stats, Celtic and Maritzburg have met in 17 league matches since 2005/06. Each side has claimed four wins against the other, while no less than nine matches have been drawn. Celtic have won just two of their eight home matches against Maritzburg, suffering one defeat in the process. When the teams met earlier this season, they played out a goalless draw in Pietermaritzburg. Celtic’s line-up from their 5-0 win over Sundowns: Tignyemb, Letlabika, Bilankulu, Fransman, Ritchie, Morena (Zuma 68'), Ndengane, Buchanan (Ntanga 81'), Nyatama, Lamola (Mulenga 52'), Mhango. Maritzburg’s line-up from their 1-0 loss to Aces: Vries, Mabaso, Booysen, Paintsil Zulu, Lentjies, Mkhize, Mekoa, Cele (Mokate 65’), De Jongh (Vilakazi 73’), Anas (Sekotlong 64’).